You are pretty much a failure as a human being if you do not know what to give your friend on their birthday (just kidding). No, I’m not talking about spending a lump-sum of money to get them a camera, because they love photography. 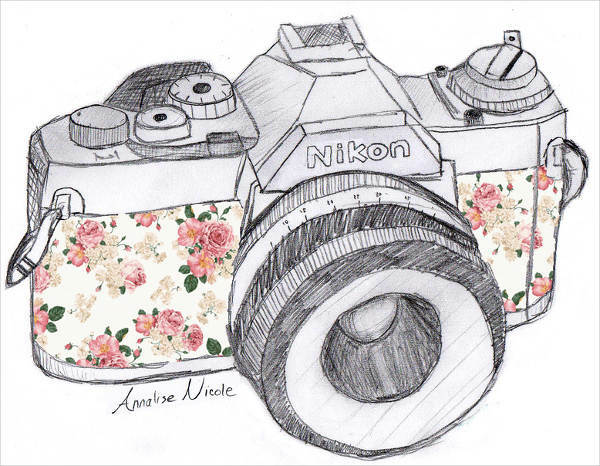 I’m talking about being creative enough to think of something like a greeting card with a camera drawing. It’s cheap, and will surely be appreciated for its artistic charm. If you are on board with this, sit back, and prepare that mouse for instant downloading. Do not exit without saving your favorite illustration. These files are in JPG file format, which is pretty much downloadable in all platforms. 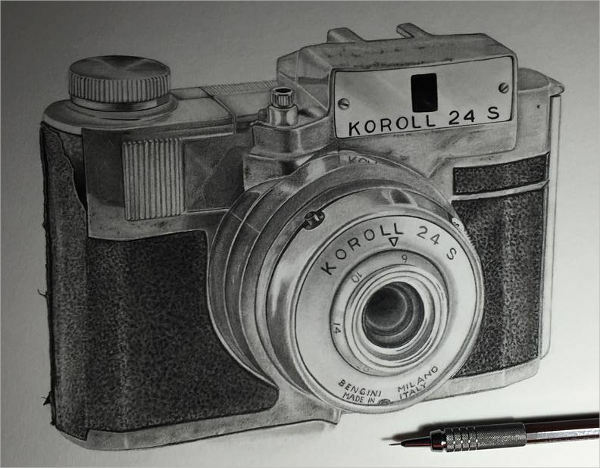 In addition to the creative mix, do check our Realistic Drawings listing. 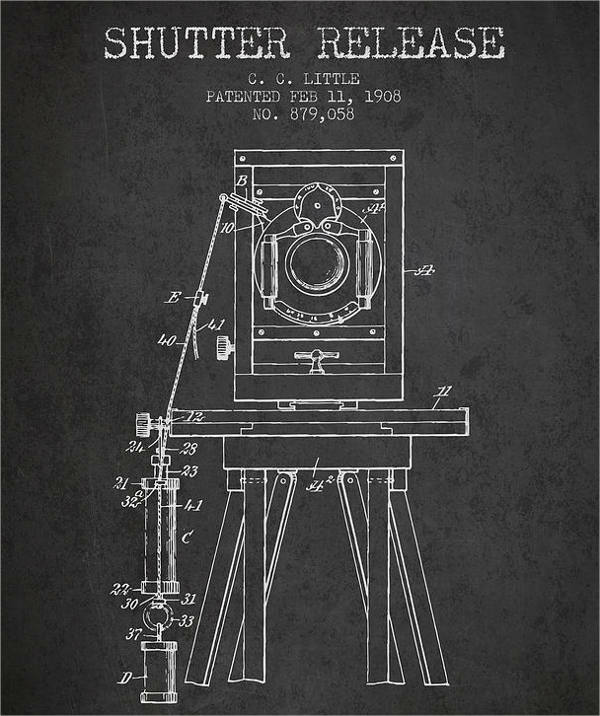 A camera is a device used for picture recording. Its evolution is amazing! It started out as a complicated device, catering exclusively to wealthy people– and can I just mention, in Victorian England, it was used more often in taking pictures of the diseased? Creepy, right? But, thank goodness, that’s no longer the case today. 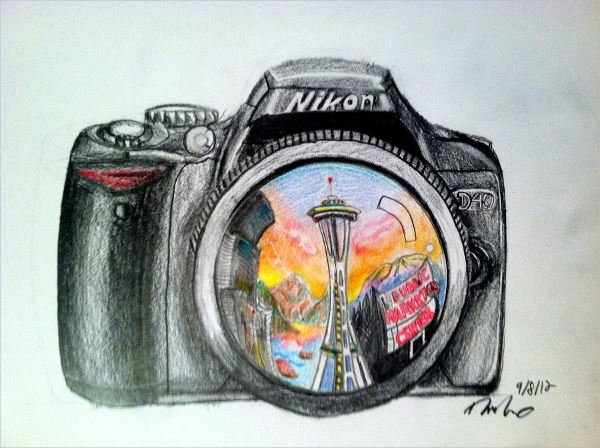 If cameras and drawings fascinate you, then this listing will work perfectly for you. 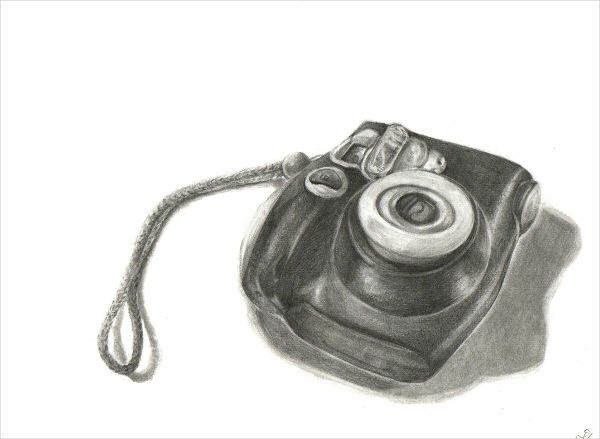 Here are brief ideas to expand your creative knowledge on how you can play around with these camera illustrations. 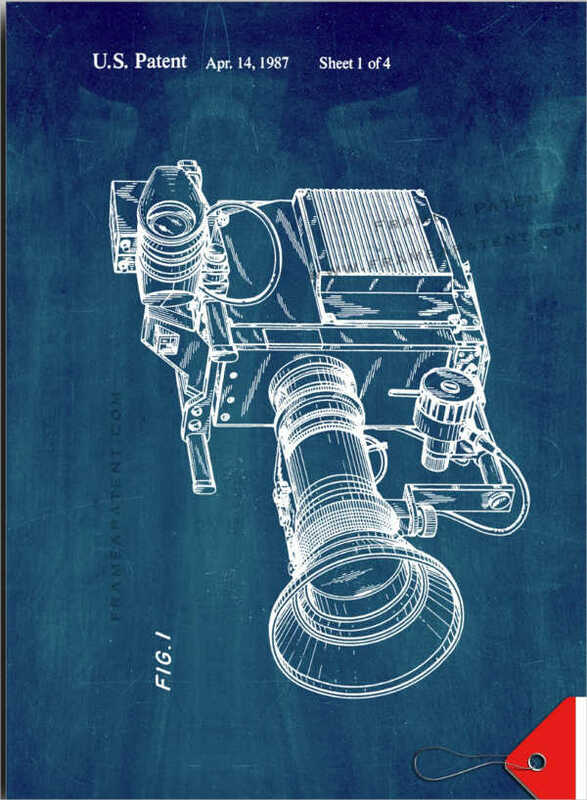 Perhaps, you are writing a blog about your photo collection, make that blog pop with “Cool Camera Drawing” or a “Movie Camera Drawing”, or if it’s more of video features, you can opt for “Video Camera Drawing”, as overlays. Are you fond of sketching? 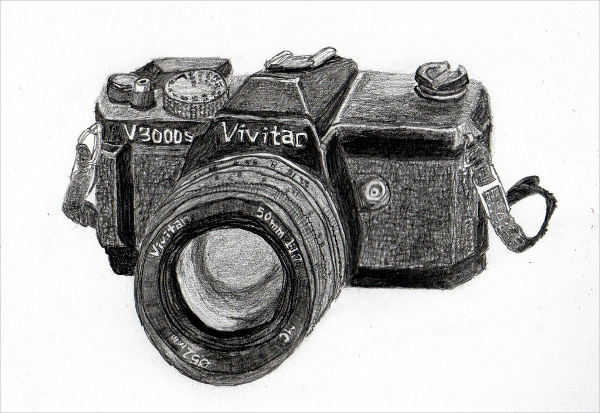 You may want to study how the details on these “Hipster Camera Drawing”, “Digital Camera Drawing”, “Realistic Camera Drawing”, and “Abstract Camera Drawing” are done and rendered. 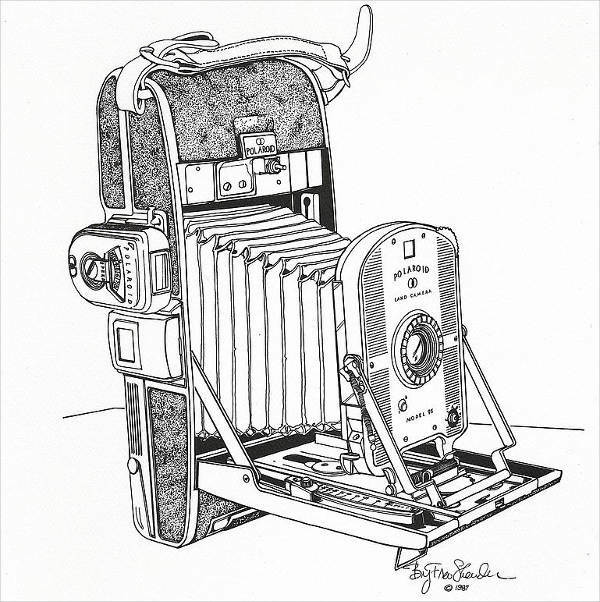 If you’re a photography enthusiast, print, and frame the “Polaroid Camera Drawing” and “Vintage Camera Drawing” and decorate it in your room or gift it. To extend the fun, and amazement for pencil drawings (such as what’s featured on this list), check out our Pencil Drawings listing. 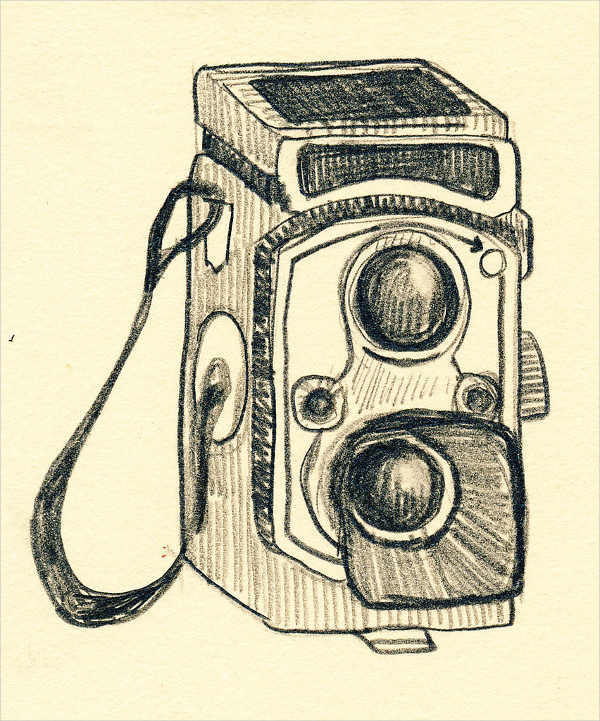 Cameras, these days, range from disposable to digital. It is amazing how this technology evolved into something that can outstandingly record tons of images; providing the highest resolution, totally emulating an actual picturesque view. No wonder, some people are drawn towards photography. It is both impressive and satisfying to the eyes. In case you’re wondering where or how you can possibly use these images, here are a few important highlights for that matter. Personalize your room with decorations that represents your passion or personality– hang some of these in the perfect spot in your room. Use these illustrations as a cover to your portfolio, picture album, or as an overlay to your website. You just have to download the image and apply it however you want. If you are the assigned graphic designer to create a poster about a photography seminar or promoting a blog, you could use a hint of sketchiness to call every viewer’s attention– and for blogs, use it as a thumbnail. These are just some ideas we can suggest. But, you may apply it however you want, personal or commercial use. It is that flexible! And with the JPG format you won’t have a problem saving it, and opening it on any interface you’re using. Download your pick now, and use it to your liking! Check out our Cute Drawings listing as well.